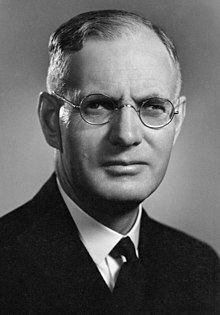 John Joseph Curtin (8 January 1885 – 5 July 1945), Australian politician and 14th Prime Minister of Australia, led Australia when the Australian mainland came under direct military threat during the Japanese advance in World War II. He is widely regarded as one of the country's greatest Prime Ministers. This page was last edited on 2 February 2018, at 23:37.